I went to Utrecht again today and I couldn’t skip the H & M now could I? I looked forward to this day for weeks! Finally, a H & M store again. 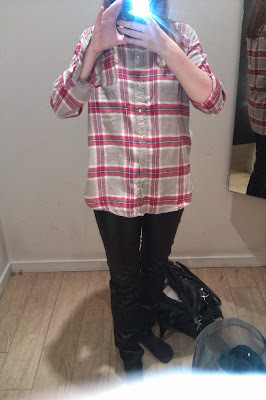 I wanted to try on so many clothes, without buying them. Off course, I wanted to buy something. And I did! Join me =)…! 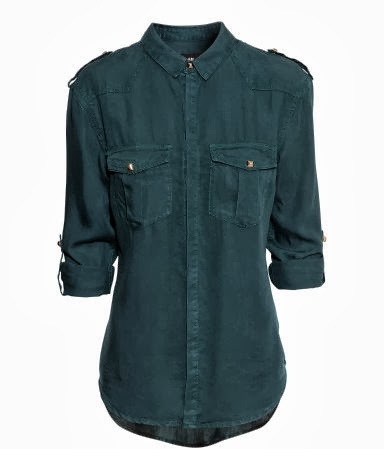 I saw this lovely blouse for only 14,95 euros. It’s an amazing piece which goes great with a lot of my clothes. Plus, it looks really nice and chic. 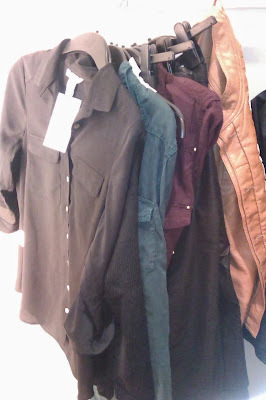 And believe it or not, but I don’t own that many blouses which can be worn on the workplace. 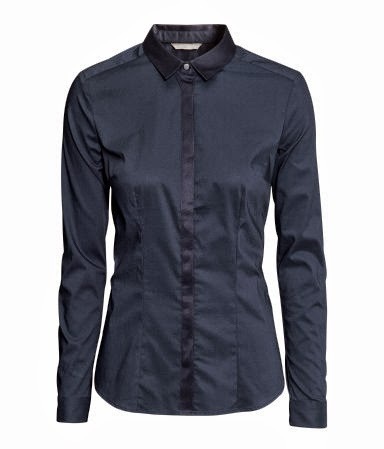 I also like that the blouse is very tailored but doesn’t make my look like a sausage (right?). 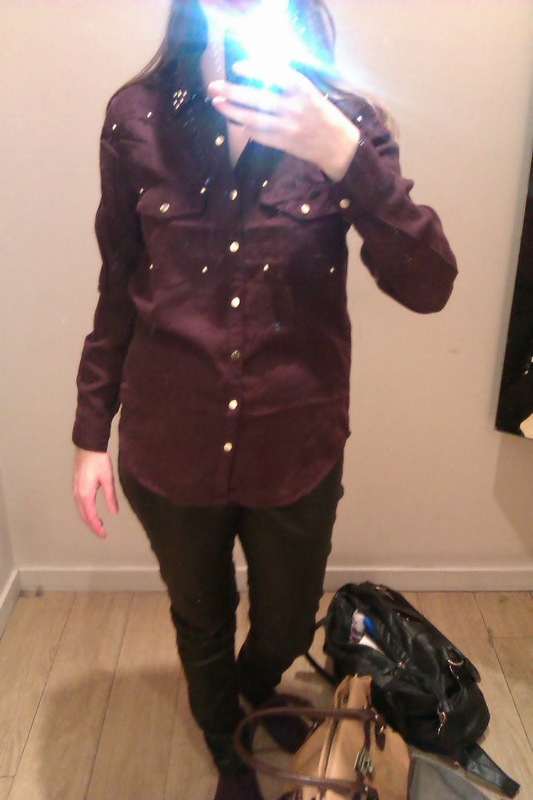 I also bought this blouse. It’s made from flannel, so it’s really warm and soft. Perfect for the autumn and winter, and spring lol. It’s really big, but I don’t mind. I kinda like it that it’s not form fitted. Me wearing the blouse with black pants. It was 19,95 euros and when I saw it in the catalogue I was immediately in love with it (and with so many other things!). 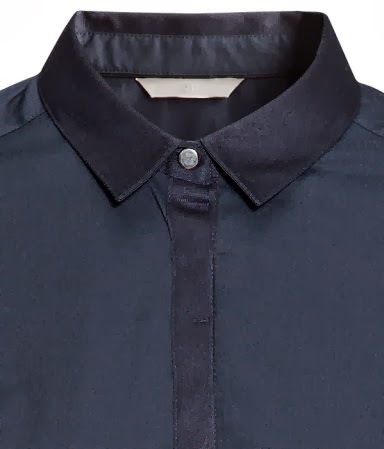 You can make the sleeves shorter, so you can wear it in the spring as well. 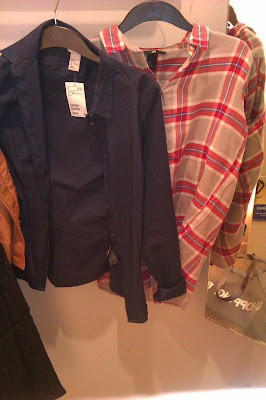 The pictures below are pictures of the items I tried on, but didn’t buy. I tried this blouse on, but I thought it had long sleeves in the catalogue. But apparently not. It’s 19,95 euros, but I didn’t buy it. So I guess I’m not that addicted to shopping? 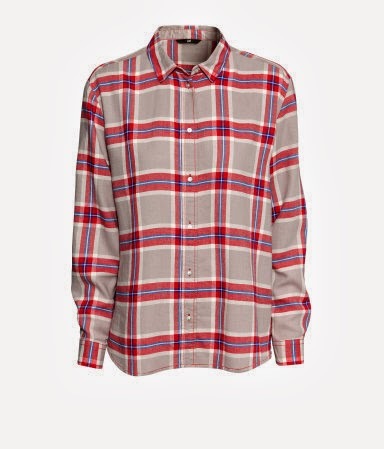 I paired this tregging for 14,95 euros with my new flannel blouse. 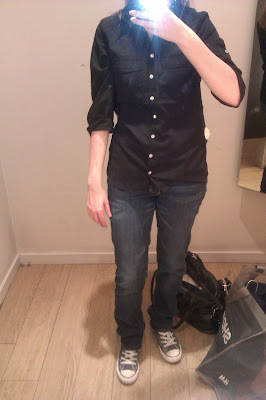 I tried it on in size 38, but it was too big at my legs. The size 36 was too tight around my waist. Since this is the same tregging I ordered, but in a different colour, I’m fearing I have to send the tregging back. It’s all in the details. The tregging looked very glittery. 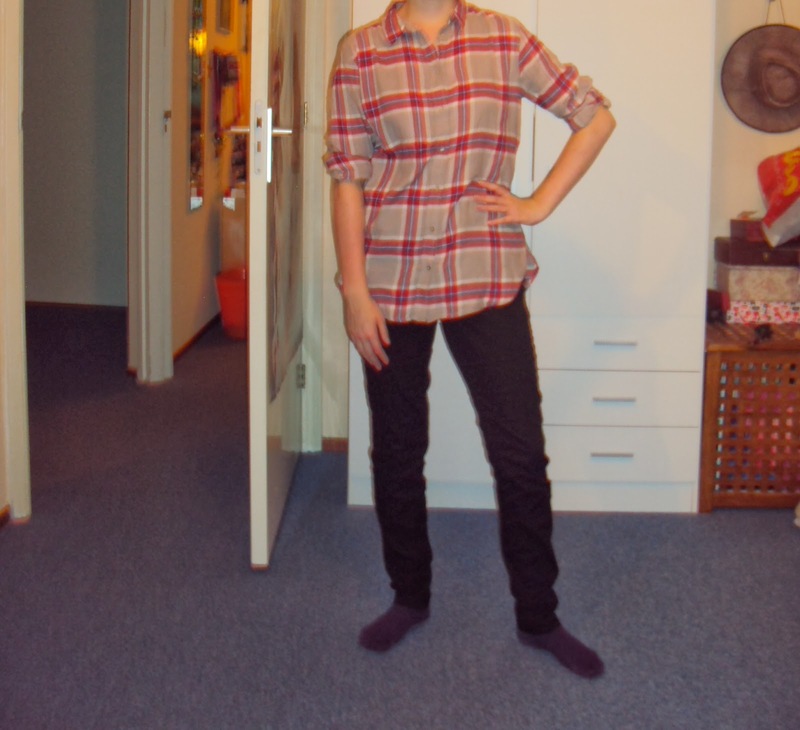 And is perfect with my flannel blouse. But alas, since one was too big and the other one too tight I didn’t buy it. 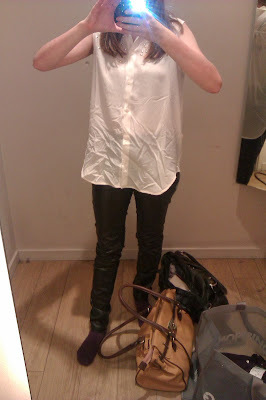 I also tried on this blouse. It was quite big, I needed a smaller size but that wasn’t available in the store anymore. 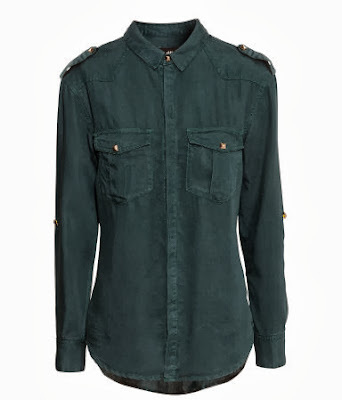 It’s 29,95 euros. I was a bit lazy, because I didn’t have it on correctly. Well, I wasn’t exactly lazy. 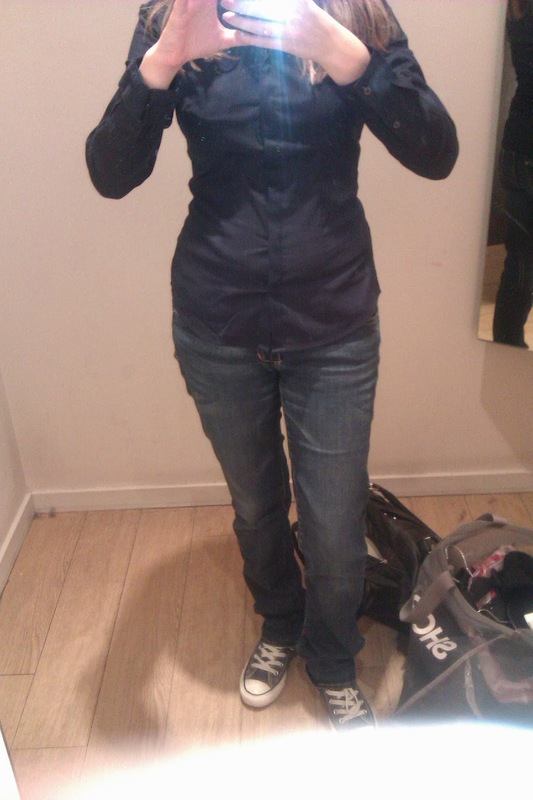 There were people waiting for the fitting rooms, so they were really annoyed and wanted me to hurry up. But it looks really wide! 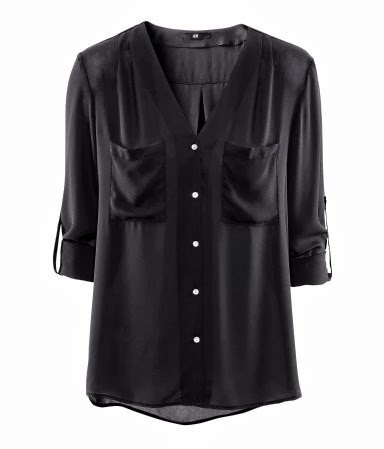 The advantage of this blouse you can either wear it with longer sleeves or with shorter sleeves. It’s look better with shorter sleeves, but that’s too cold for the winter. This blouse is amazing. 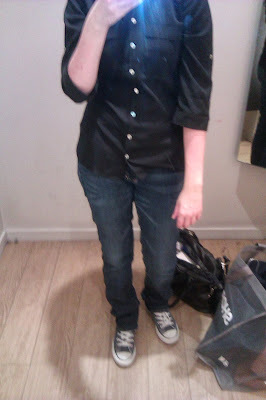 I want it so badly, I even tried it on. And it still looked amazing. But it’s 34,95 and a little bit too pricey for me. Especially since I was already going to buy two blouses. Plus, I already bought a ton this month. I may have considered if I hadn’t bought that much this and last month. I couldn’t find this blouse on the website. 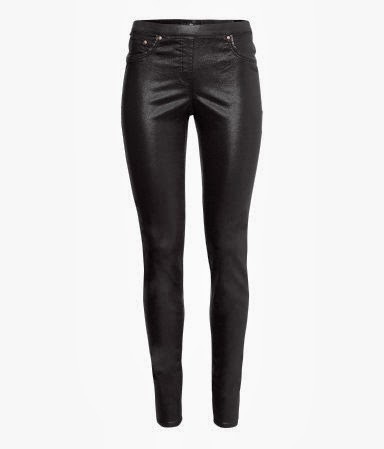 It’s 12,95 euros. It’s so big. 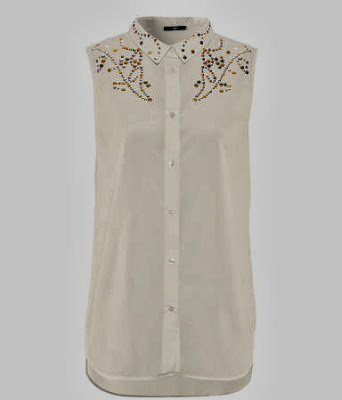 I like the details on the top of the blouse. 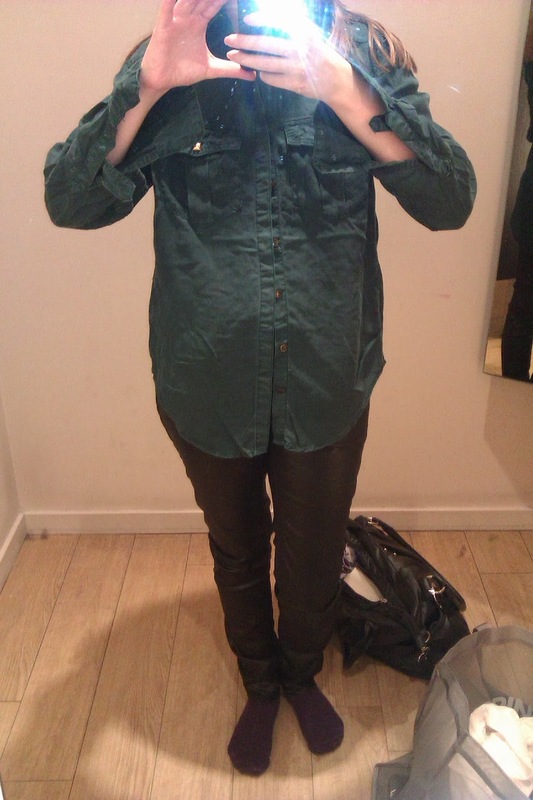 But this was a size 34 and it looked like a freaking tent. Not flattering at all! And it was so see through, you can see my bra! Don’t mind the bandage on my arm, please. I was bleeding and it wouldn’t stop. 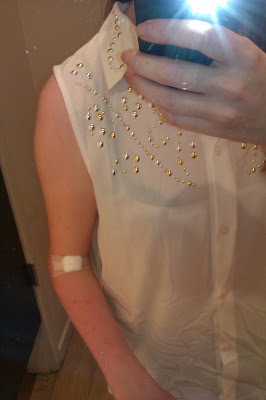 I had a bit of a rash and it was itching like crazy, so I scratched like crazy. Hence, all the scratches on my arm. 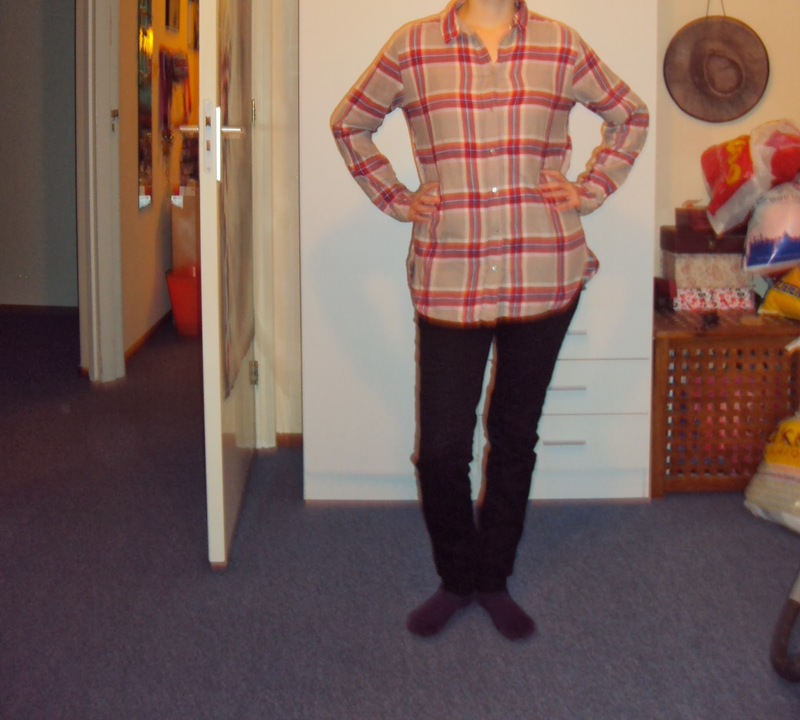 The weird thing is that the blouse was originally 14,95 euros according to the website. It’s now on sale for 10 euros. So the original price in the store was lower but it wasn’t on the sale. Weird. Finally, after trying on 9 items, these two were the winners! The lightning is so bad! 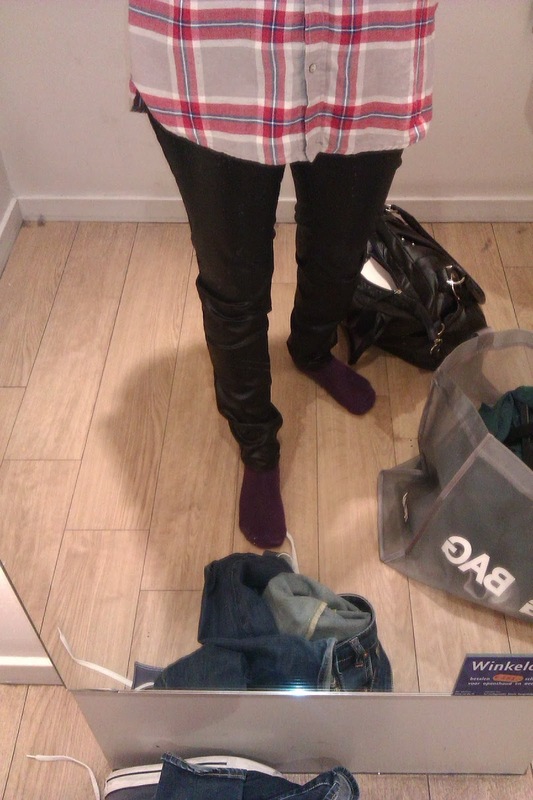 I took this pictures with my smart phone, but it was so dark in the fitting room. Anyhow, these are the things I tried on but didn’t make the cut. 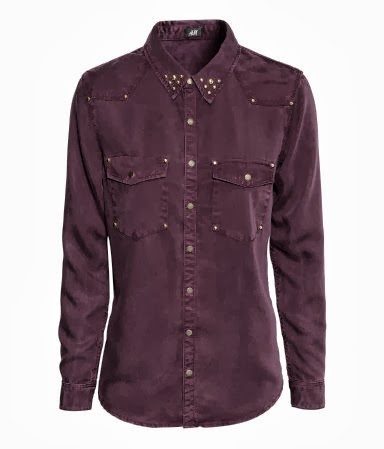 And you can see a picture of my brown jacket I ordered on 9th of August. In total, I payed 31,85 euros. I got a discount off 25 % which was in the catalogue (and was also on the website until September 27. I used that discount on the flannel blouse which was 19,95 euros but with the discount off it was 14,96 euros (so 4,99 euros discount). I also bought a lint roller for 1,95 euros.